1. The first thing we did is find a nice large shirt we could cut some length for ruffles, and cut enough of the sides for ruffles. Its not too hard when your eleven year old is a skinny mini! I had her put the shirt on, and then I pinned it with her wearing it. See below for our BEFORE picture. 2. 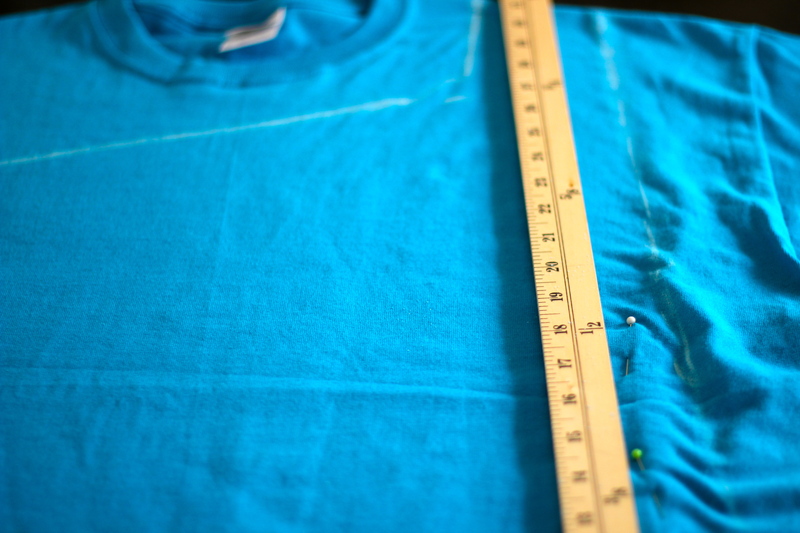 After I had the shirt pinned and the measurements taken, I then marked all of my cut lines with chalk, so I knew where I would be cutting. I used a ruler to make sure I was getting a good edge. 3. After that, I cut the shirt into the shape of the off the should dress look she was looking for. 4. 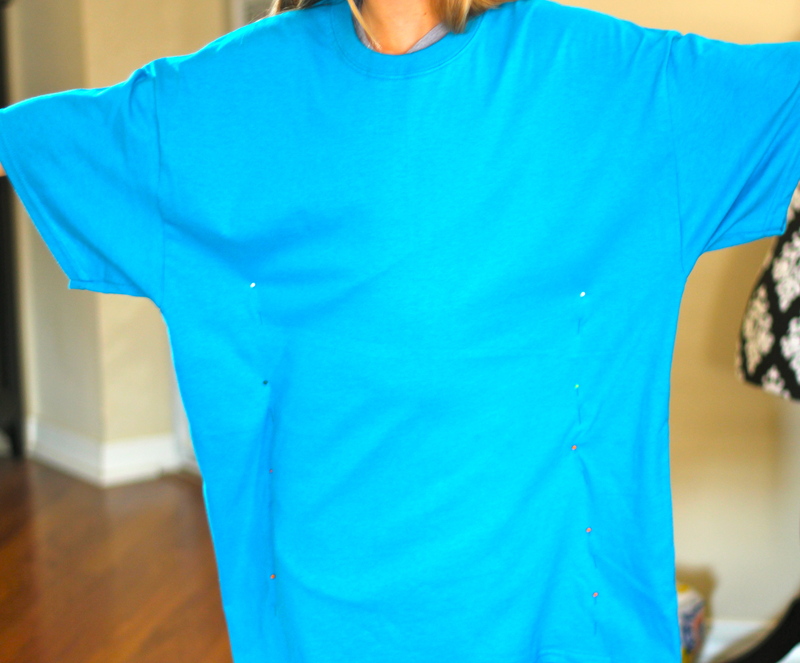 After cutting the shirt to the shape we liked, I then made sure the pins were placed where I needed, and began to stitch the seams back together, following up with a zig zag stitch on the ends to make sure we don’t have any frays later on! 5. After that step, I then had a nice little plain off the shoulder dress. 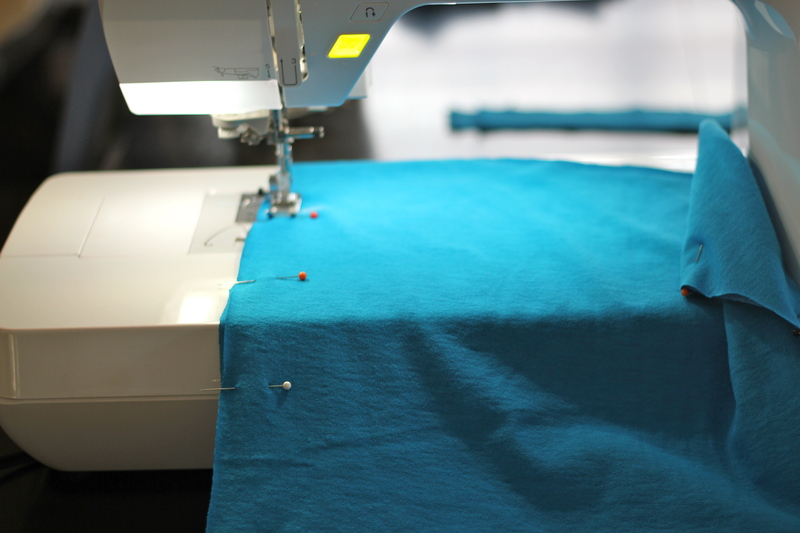 We then took the strips of fabric we had cut and began to ruffle these on the sewing machine. 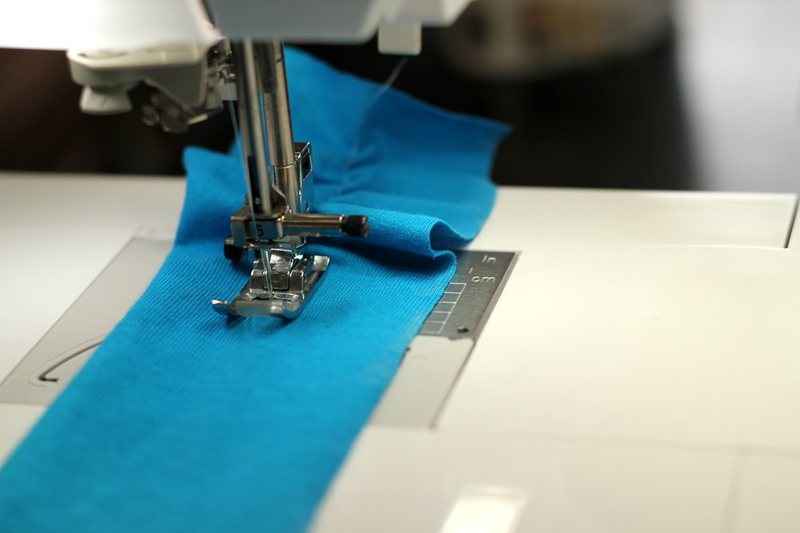 WE created the ruffles by putting a straight stitch in the center of the fabric with the length and the tension at the highest level the sewing machine would allow. 6. 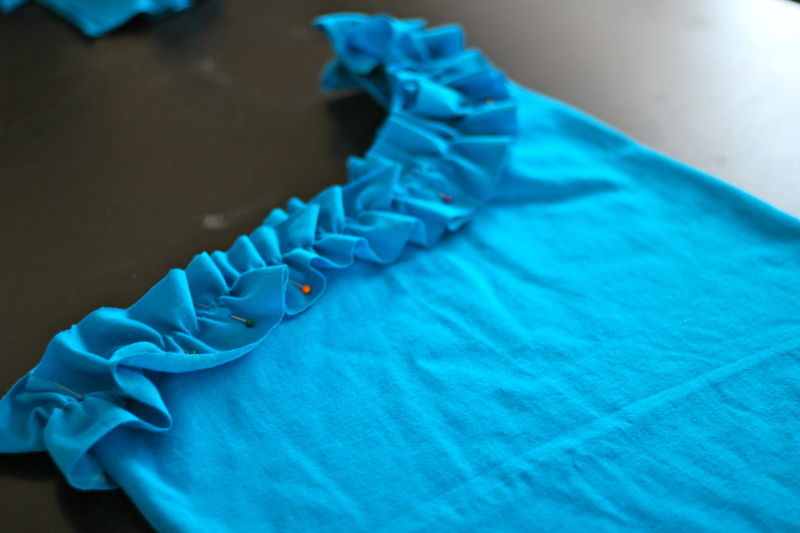 After we had our ruffles completed, we then pinned the ruffles around the top front and back of the shirt, and sewed these all around the top portion. All done! 7. Check this fun little ruffled off-the-shoulder summer dress out! We are going to have fun with repurposing this summer! Stay tuned to see whats next. Here are our AFTER pictures. Enjoying the world of blogging and crafting. This entry was posted in craft, embellished shirt, girls dress, repurposed clothing, repurposed sewing, repurposed shirt to girls dress, sewing, shopping, Uncategorized and tagged Arts, Business, craft, Dress, girls repurposed t shirt dress, Pinterest, repurposed t shirt, repurposed t shirt dress, repurposed t shirt girls dress, repurposed t shirt off the should dress, repurposed t shirt tutorial, sew, Sewing machine, Shirt, Textile. Bookmark the permalink.